Meadowsweet is a long lived (perennial) herb that likes to grow in damp meadows and is native to both Europe and Asia. In herbal medicine both the leaves and flowers are used, and both have a characteristic strong and sweet-smelling scent. Meadowsweet has long been used to help soothe and heal damage to the gut wall, particularly as evidenced by gastric ulcers or reflux. It has been seen to calm down an overactive digestive system and was frequently used as a tea for indigestion. Meadowsweet also has a traditional reputation for treating urinary stones, rheumatism, liver disorders, excess gas and bad breath. The eclectic physicians of the 18th and 19th centuries considered Meadowsweet an 'excellent astringent to diarrhoea, less offensive to the stomach than other agents of its kind'. They also widely prescribed it for menstrual cramps and genito-urinary tract infections. 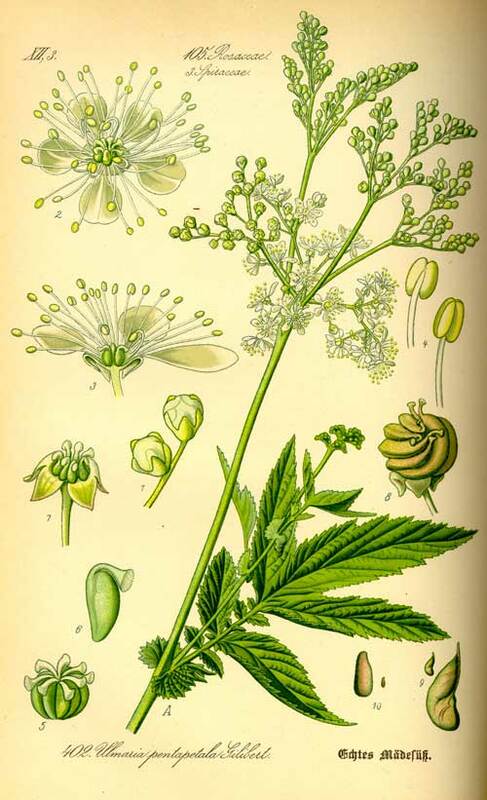 Thomas Bartram writes that Meadowsweet's actions are 'antacid, stomachic, astringent, antiseptic, diaphoretic, diuretic, hepatic, anti-inflammatory and mild urinary analgesic'. Bartram suggests it may be used for effective symptomatic relief of indigestion and other upper gastro-intestinal conditions associated with excess wind and hyperacidity. Gastric ulcer, gastric reflux, liver disorders, summer diarrhoea in children, cystitis, chronic rheumatism, oedema and urinary stones' and that it 'combines well with Golden Seal and Marshmallow root for gastric ulcer' Bartram suggests doses of 1-2 tsps of the dried herb in a cup of boiling water infused for 10-15 minutes, and smaller doses for the children and the elderly. The British Herbal Pharmacopoeia (BHP) describes Meadowsweet's actions as stomachic, antirheumatic, urinary antiseptic, astringent & antacid and says it is indicated for atonic dyspepsia with heartburn & hyperacidity, acute catarrhal cystitis, rheumatic muscle & joint pains, diarrhoea of children and specifically indicated for peptic ulcer, used for prophylaxis & treatment. The BHP suggests a dose of 4-6 gms, or by infusion, and recommends a tincture in the ratio of 1:5 in 45% ethanol with a dose of 2-4mls. The flowers are certainly lovely and have obviously been highly appreciated over the centuries for their beauty as well as their scent. One of Meadowsweet’s other common names, Bridewort, came both from it being used to make bridal garlands and also from the custom of strewing the herb on the floor for festivals and weddings. Another of its common names, Queen of the Meadow, comes from the way it can pop up its pretty flowers and dominate over a low-lying meadow. 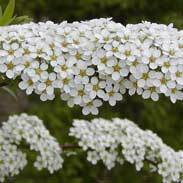 There are no adverse reactions reported for Meadowsweet despite widespread use. 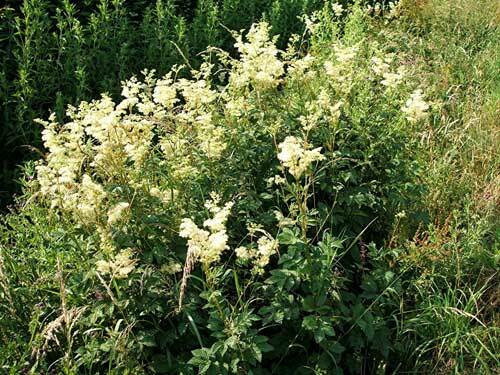 A modern appreciation of the potential for salicylates to cause allergy or issues with excess bleeding gives us reason for theoretical concern, but it may not be wise to extrapolate any of this to Meadowsweet because the nature of the plant is such that those active ingredients are absorbed much more slowly than a drug like version of the same compounds. 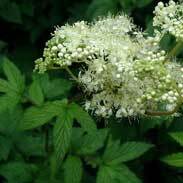 Generally, Meadowsweet is regarded as very safe to take during pregnancy and breastfeeding and certainly a safe herb for the very young or old. Meadowsweet is clearly one of the best herbs for an over-acidic stomach and, especially if people are getting some acidic taste come into their mouths, or are getting frequent bouts of ‘heartburn’, then Meadowsweet can work very quickly to provide therapeutic relief. 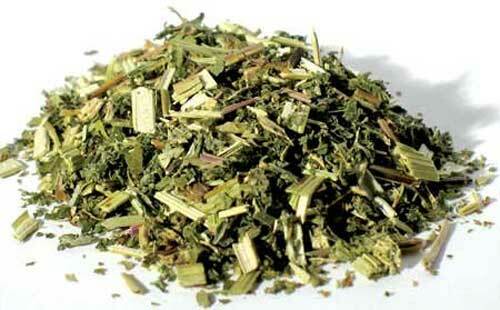 Meadowsweet is a safe herb to take in high doses when needed. 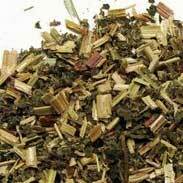 If I am using Meadowsweet in a formula to treat acute gastritis or some other kind of active indigestion, then I will generally give a dose range of between 2 to 4 mls of it at a time and will be prepared to use it up as much as needed, even up to 5 or 6 times a day if this is what is required to rapidly turn things around. A lower grade, more chronic condtion may be better treated with just a once, twice, or three times a day dose. When I take some Meadowsweet with an open and quiet mind, then I can understand why it has been so well rated as a digestive remedy for acidity and over-activity. Meadowsweet has a marked action to it that feels like it is gently 'coating’ your mouth and tongue and it no doubt gives the same kind of protective wrapping around a tender stomach lining or an agitated bowel! 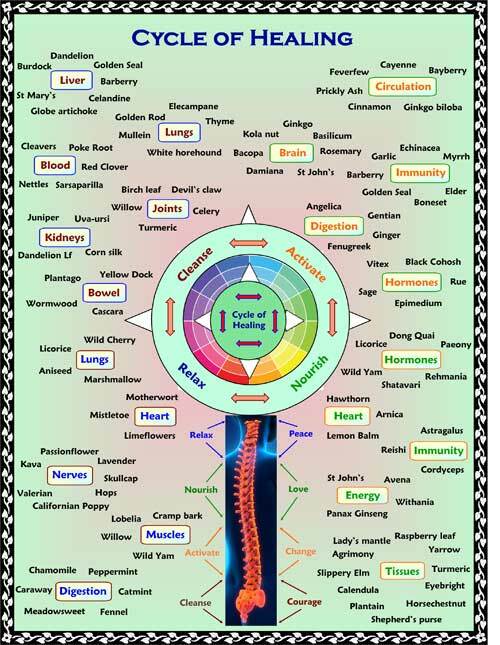 If you who are reading this are studying herbal medicine or have your own reasons to want to get to know this plant ally much more deeply then I urge you to do the same experiment for yourself, whereby drinking a cup of Meadowsweet, or taking a dose of its tincture, with a quiet and attentive mind may do more to help you truly understand its 'action' than any amount of an academic study of the plant! Much of the information here about the traditional uses of Meadowsweet is consistent with the model of thinking whereby one may treat problem A with plant B. There is value in this approach, especially in how it helps us pass on useful knowledge to one another, but it falls short in one vital area; and that is that people are not all cut from the same cloth! Something that works brilliantly for one person may do less for another -- why is this?